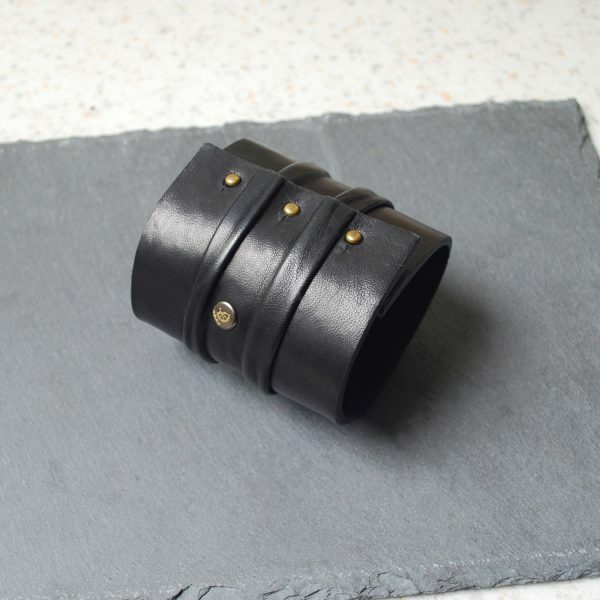 Cuff made of black soft leather pleated and shaped by hand, closed with 3 buttons. Each fold is slightly different, making each piece unique. Black leather lining. 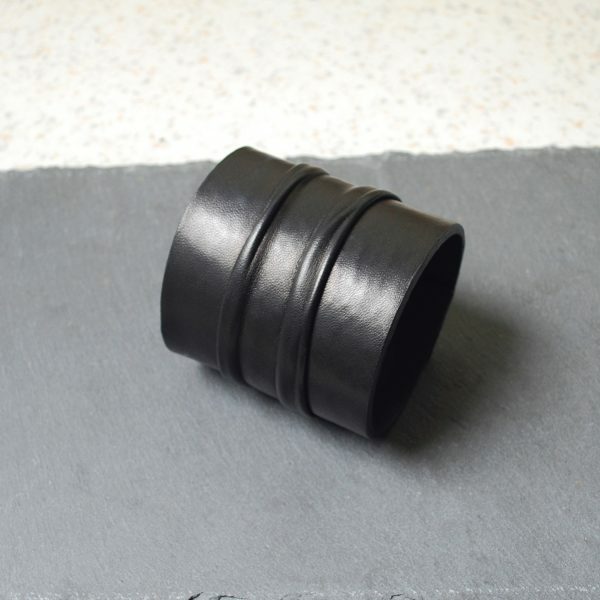 Manchette en cuir noir très doux, fermée par un triple boutons à vis. Chaque plissé est légèrement différent, conférant à chaque modèle un caractère unique. La manchette est disponible en 2 tailles. 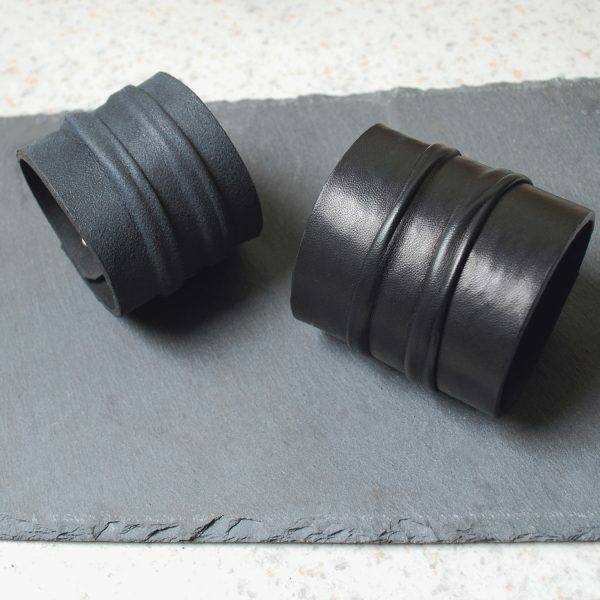 Doublure en cuir noir. – Made in France with care and love / Design and produced in small serie in my parisian atelier, no mass production. – Fait en France avec soin et amour / Produit en petite série dans notre atelier parisien. 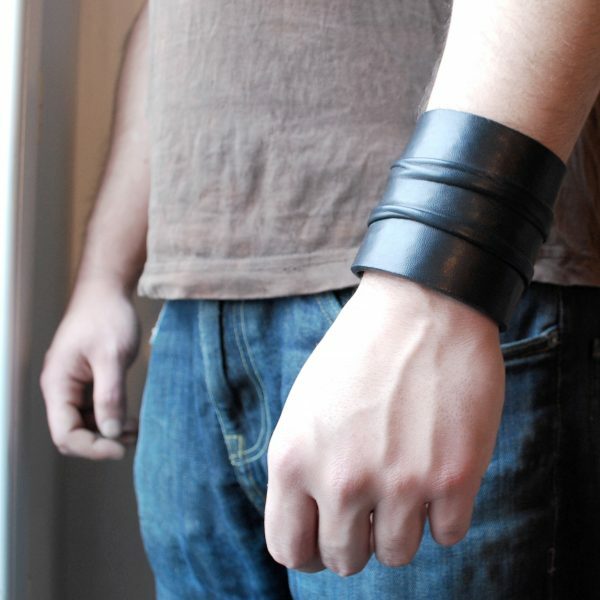 .Obso is a poetic and edgy jewelry brand, with recycled leather as prime component. 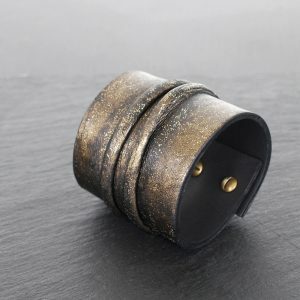 .Obso offers urban collections of leather bracelets, rings, and necklaces with a strong ethical commitment. 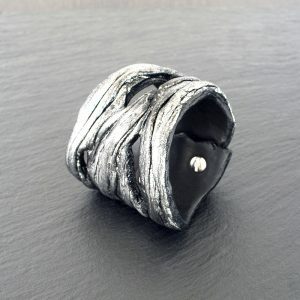 .Obso jewelry are handmade, crafted in small series with love and care in our Parisian atelier. 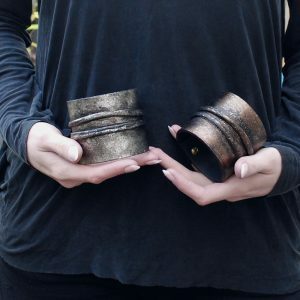 Sign up for Obso newsletter, and be the first to be notified of events, private sales, limited edition & capsule collections, and many other exciting (handcrafted) content !